Wrestling world rocked by the sudden death of Jim 'The Ultimate Warrior' Hellwig. 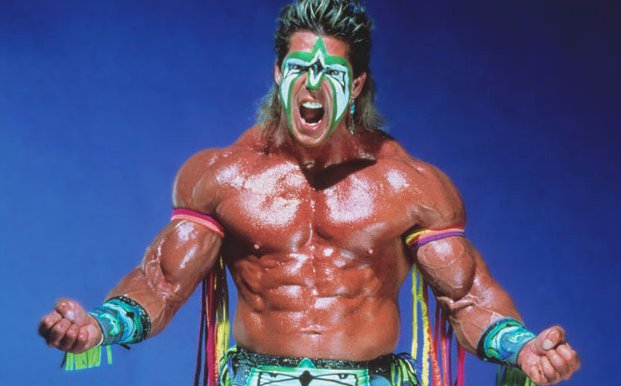 WWE legend The Ultimate Warrior died suddenly on Tuesday at the age of 54. The wrestler, whose real name was Jim Hellwig, was inducted just days ago into the WWE Hall of Fame and appeared on “Monday Night Raw,” just a day before passing away. There is no cause of death known at the present, though he reportedly collapsed outside an Arizona hotel while heading to his car. “WWE sends its sincere condolences to Warrior’s family, friends and fans,” continued the statement. The Ultimate Warrior leaves behind his wife Dana and two daughters. This is so sad just seeing him on Monday night raw and watching his induction speech when the hof show. Good thing he got chance to be present for it.